← Word power divides rich and poor. 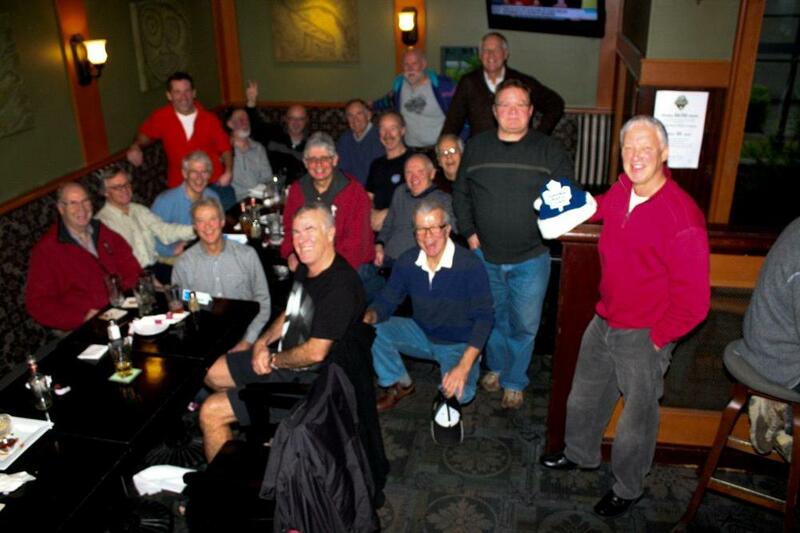 Here is a fuzzy photo of our old timers’ hockey gang at our Christmas lunch, after our last game of the year. See if you can find me. All appearances to the contrary, we had only one beer each to stay below the 0.5 % alcohol limit. One of our members had only cranberry juice. He will be volunteering as a designated driver in the Operation Red Nose campaign. He drives people home from parties, and the donations he receives go to charity. I was impressed with his community spirit. Maybe I will do this next year. 1 Response to Drive safely over the holidays. Operation Red Nose. Pavel, I have no use for tine IPA. Either I can hear the sound and it is familiar to me, or I have to learn how pronounce it. I have never found the IPA useful enough to learn it. Others use it and find it wonderful. To each his own. Cheers.